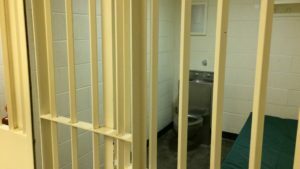 The employees of six county jails in Iowa are being praised for going “above and beyond” the minimum state standards for those facilities. The awards were recently handed out at an annual banquet held by the Iowa State Sheriffs and Deputies’ Association. The six jails are located in Madison, Shelby, Iowa, Sioux, Dubuque and Marshall counties. Another priority for Longley is making sure the county employees keep “thorough and complete” records of all jail proceedings. “The documentation is what’s going to keep a lot of jails out of lawsuits. If you can show what you’ve done, when, and why you’ve done it – that is very, very important,” Longley said. According to Longley, administrators and employees of many county jails face substantial challenges including limited budgets, overcrowding, and facilities that are badly in need of replacement or repair. There are several county jails in Iowa that were built in the early 1900s.